The Adtran Total Access 1500 is a carrier-class, multiservice access platform for deploying narrowband services from TDM network access. A compact, versatile platform, Total Access 1500 integrates the functionality of many carrier products into a single high-density chassis. Total Access 1500"s small footprint (2U-high mounting) makes it the perfect choice for integrated communications service providers such as ILECs, CLECs, and ISPs who need to deploy services from crowded Remote Terminals (RTs), Central Offices (COs), or Co-Location (COLO) facilities. 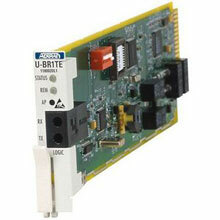 The Adtran 1180020L1 is also known as ADN-1180020L1	.